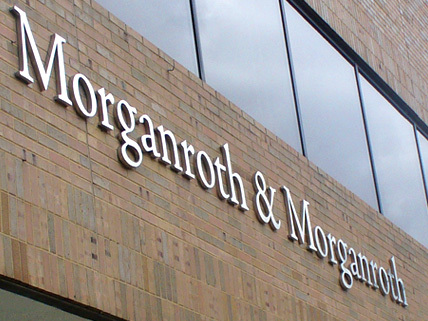 Morganroth & Morganroth is a unique law firm with a tradition rooted in integrity, ingenuity and excellence. Our highly skilled team of lawyers provides first class legal representation to clients in virtually every practice area, including, complex commercial litigation, business matters, white collar criminal matters, constitutional litigation, intellectual property litigation, employment and labor matters, corporate matters, real estate matters, family law matters, probate matters, civil rights and discrimination matters, personal injury litigation, tax litigation, bankruptcy litigation, insurance matters, securities litigation, administrative matters, professional malpractice matters, product liability litigation and entertainment matters. Read more. Following in Father's Footsteps Read more. Saturn Fraud Exposed: Saturn was a loser for years -- but who knew? Read more. "Quicken Loans, the Nation's Largest FHA Lender, Sues United States Department of Justice and Department of Housing and Urban Development" Read more. EnGenius, Inc. Wins $24.8 Million Judgment Against Ford. Read more. Dan Gilbert declares ‘complete and total victory’ as Quicken Loans wins overtime case. Read more. Dedicated to helping clients with legal matters. Learn about each of our highly skilled attorneys.